In a public talk at the Glenn Gould Studio in Toronto, Sue Gardner argues that that we’ve returned to the same set of ominous social conditions which led to the creation of public broadcasting in the first place — and that now is the time to recommit to public service journalism. Journalism has taken a beating over the last few years. Its reputation, its funding models, even its relevance. And we keeping hearing how the public conversation has gone extinct with the rise of opinion journalism, and social media bubbles — all in a (supposedly) post-truth era defined by fake news. But digital media thinker Sue Gardner sees a way through the apparent morass: the refortifying of public broadcasting — and it's a conclusion that surprises even her. Sue is best-known for taking Wikipedia to the heights it enjoys today. In a public talk at the Glenn Gould Studio in Toronto, she argues that that we've returned to the same set of ominous social conditions which led to the creation of public broadcasting in the first place — and that now is the time to recommit to public service journalism. **This episode originally aired June 11, 2018. When the Knight Foundation asked Sue Gardner to write an article on the rather earnest subject of "the future of public broadcasting", her initial reaction was "meh". But she was curious: is it really over for public broadcasting? Does it matter anymore? Did it ever? So she dove into the research, consulting with historians, reading in-depth analyses, poring over statistics and surveys. And what she found was eye-opening for her. People everywhere are disillusioned. The Edelman Trust Barometer started measuring the level of public trust in institutions in 2001. In 2017, it recorded its single biggest one-year drop ever: 53 per cent of people around the world say that they believe the current system is failing them, that it is unfair, and it offers them no hope for the future. Only 15 per cent of people believe that the system is working. The alarming upshot is that belief in democracy is weakening. People now have become less opposed to non-democratic alternatives like military rule. And support is increasing to have a "strong leader" who doesn't have to "bother with elections". Even more disturbing is that faith in democracy is eroding at an even faster pace among the young. Sue believes that we may have spiraled back to the social conditions that gave rise to public broadcasting in the first place. In its initial decades, she argues, public broadcasting did what it was supposed to do: it informed, it enlightened and it entertained. But when the Reagan-Thatcher era began, cultures became markets, and citizens became consumers. It was then that the public broadcasters started getting cut. To make up for the funding shortfall, many broadcasters including the CBC, began generating more commercial revenues. A response, Sue argues, that is understandable, but falls short: "The core of the problem, in my view, is the over-reliance on commercial revenues." The impact of mixing the funding model was mixing up the identity of the public broadcaster itself, creating content that too closely resembled that of commercial broadcasters. The funding woes continue, as Sue observes, both abroad and at home. But — and it's a significant "but" — funding is only part of the problem. According to Sue, "the CBC it needs to make a commitment of its own. And the commitment needs to be that it will rededicate itself wholeheartedly to public service." Public service may seem like a quaint notion, perhaps even outdated, given the speed and ubiquity of digital news. However, Sue Gardner believes that the internet has not only failed to live up to its early promise of democratising knowledge and better informing people, it's actually made things a lot worse. Success is measured largely by likes and shares, and digital producers learned some time ago that emotions drive engagement, and that the strongest driver was anger. So make people angry, and watch your numbers improve. It's a very difficult dynamic to resist, and many public broadcasters can fall into the trap of privileging click bait over mandate. For Sue, the real measurement of success is cultural impact, not economic benefit and not easily reducible to ratings or other standard metrics. "To paraphrase Matthew Arnold on the nature of poetry: public broadcasting is the dialogue the culture has with itself, and it's a long-term conversation." Keeping that long conversation going is absolutely paramount for Sue. She points to having lived through two referenda on Quebec independence; one in 1980, the other in 1995. The lead-up to each covered the gamut of every emotional reaction imaginable: nail-biting, predictable, outrageous, dull, compelling, obsessive, consuming. There were tears, anger, shouting, and public demonstrations. But Sue adds: "Let's take a look at what didn't happen. There were no machetes in the streets of Canada. Nobody's home got confiscated. Gangs of people did not assault each other." And this point is perhaps the point she wishes to make. There's plenty of sobering, if not downright depressing, data out there when it comes to the state of journalism and "the public conversation". But Sue sees hope, and she finds it in what she's experienced firsthand: Wikipedia. It's not shackled to any sponsor's expectations. It has no bells and whistles. In fact, Sue calls it "ugly". Yet it's the fifth most popular website in the world. People in the chattering classes sometimes despair about public taste, claiming that, they want click bait. They want junk. They |want to amuse themselves to death. But Sue is unequivocal: "I think that is wrong… They actually want to learn and to grow. They want to be treated in a straightforward and honest and informing way. Being informed is not just a nicety. It is ultimately about how we want to live together." Sue Gardner began her career in traditional public television and radio broadcasting at the CBC, where she led cbc.ca to international prominence. 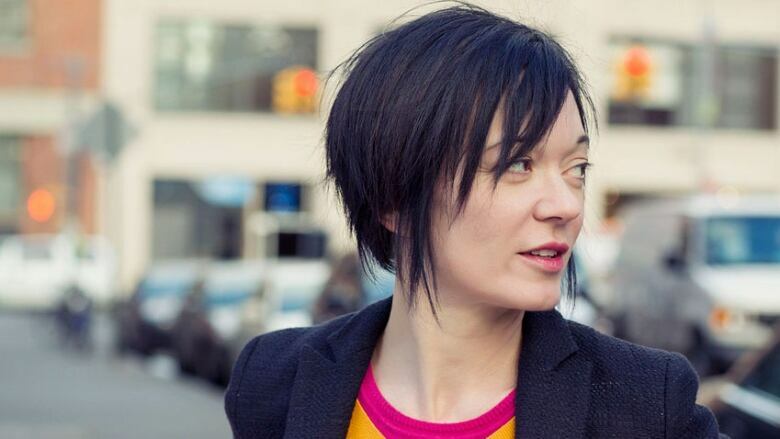 In 2007, she moved to the U.S. where she became executive director of the Wikimedia Foundation. During her tenure, donations to the organization grew from $3 million to $23 million. She provided access to the site for both readers and contributors across Africa, South Asia, and the Middle East. The Huffington Post named her as one of ten "media game changers of the year" in 2009. And Forbes Magazine named her as one of the top 100 female executives in the world. Sue Gardner is one of the very few media professionals who knows both the digital and traditional broadcast landscapes intimately. Sue Gardner will deliver the 16th LaFontaine-Baldwin Lecture on September 24, 2018 in Koerner Hall, Toronto. Her topic: "Dark Times Ahead: Taking Back Truth, Freedom, and Technology". For tickets, visit 6DegreesTO.com.